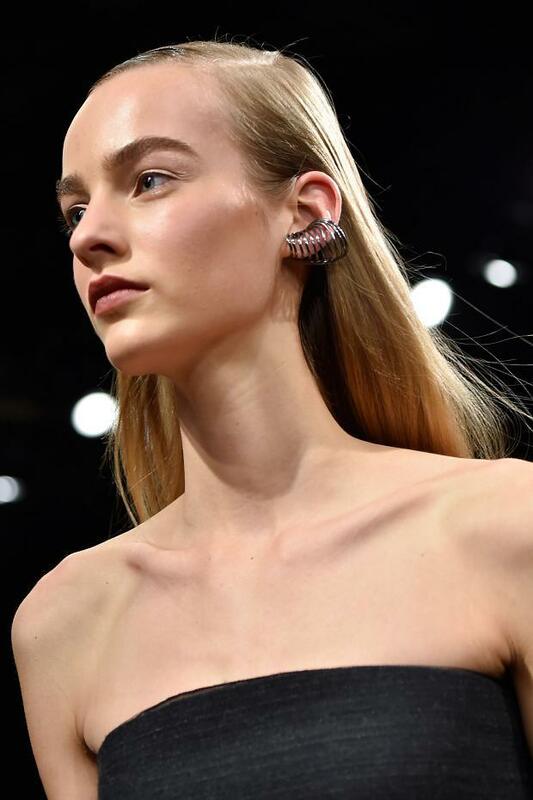 I love a good jewelry statement on the runway and one of my favorites during the New York collections was Donna Karan's ear cuff. Living somewhere between a spiral tech gadget and a tribal art piece fashioned for a modern woman, this discreet, yet wildly chic singular ear accessory has the ability to transform its stylish host with one, simple gesture. Paired with polished, yet unfettered hair and makeup, Karan's grown-up, womanly collection was the perfect, natural foil for this sophisticated, finishing touch, proving that a cool jewel can be worked in more ways than one.